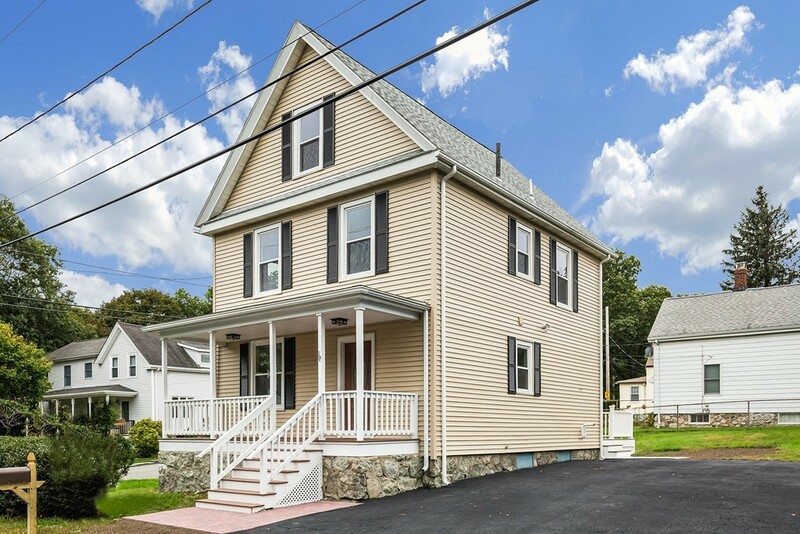 "ALLOW ME TO EARN YOUR BUSINESS"
Completely rehabbed colonial featuring 5 bedrooms and 2 full baths. New kitchen with stainless steel appliances and quartz counters. New Harvey maintenance free vinyl siding. All new windows. New red oak hardwood flooring throughout entire house including attic. Chimney removed for open concept. Nice size farmers porch. New gas heating system. Central AC. 2 new bathrooms with ceramic tile floors and granite counters. New paint throughout house. All new plumbing and electric. New sliding door out to new maintenance free deck. New power vented gas water heater. Great location. Parking for 6 cars. is also broker has never lived in property. Portions Copyright © 2019 Mitchell Rosenwald. Portions Copyright © 2001-2019 iMaxWebSolutions.com.